Dale Morris is determined to keep soldiering on in 2019. 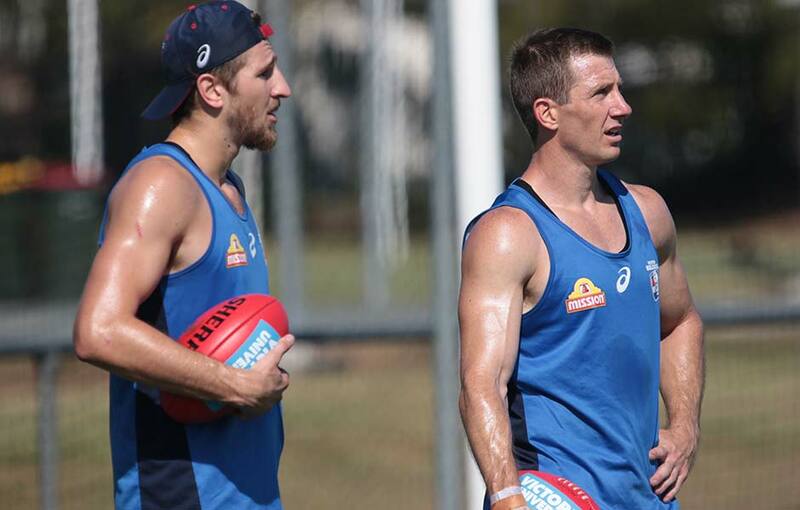 Key defender Dale Morris is fit and full of confidence, as he prepares to tackle his 15th AFL season. The inspirational Bulldog, who overcame a partial tear of his ACL to play 11 of the Club’s final 12 games last year, is determined to keep soldiering on in 2019. After signing another one-year contract extension at the end of the 2018 season, Morris was adamant he wanted to play for the Bulldogs for as long as he could. And another tough pre-season certainly hasn’t changed his mindset. “I love it too much – I never want it to end,” the 36-year-old told FOX Sports News this week. “I’m no spring chicken that’s for sure, but while I’m fit, mentally healthy and physically healthy, I’ll keep going for as long as I can. Morris enters the season with 252 AFL matches to his name, and sitting in 13th place on the Club’s all-time games list. A full season would see Morris go past Steve Wallis (261 games), Daniel Giansiracusa (265) and AFL Hall of Fame member Arthur Olliver (272) to enter the Club’s top 10. Excited by the squad’s young talent, Morris is keen to help fast-track his younger teammates’ development by sharing his experiences. “Being an older guy, I’m there to help out the others as well - everyone’s got that responsibility, to help each other out - and passing on what I’ve learned over the years with the new crop coming through,” Morris said.